4 Week FB Burn is a challenging and effective workout program that takes out all of the guesswork for you by planning out exactly how to train for a month. This program carefully plans out strength training, HIIT, functional training, cardio, Pilates, and yoga workouts for safe, sustainable results. You'll be doing a different workout video every single day; no repeats. Workout lengths range between 32-44 minutes (37 minutes average), 5 days a week with an optional 6th day recovery workout that focuses on flexibility. This program is very similar to our popular FBsweat program; 3 days a week, we provide a carefully selected (optional) Extra Credit Challenge workout that allows you to bump up the length and intensity of your training session, should you have the extra time and energy. 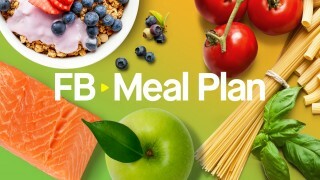 Use #FBburn on social media to track your workout sessions, share your progress, find motivation, and connect with people around the world who are following this program. We encourage you to use our Community or #FBburn and #fitnessblender on social media to track your workout sessions, share your progress, find motivation, and connect with people around the world who are following this program.